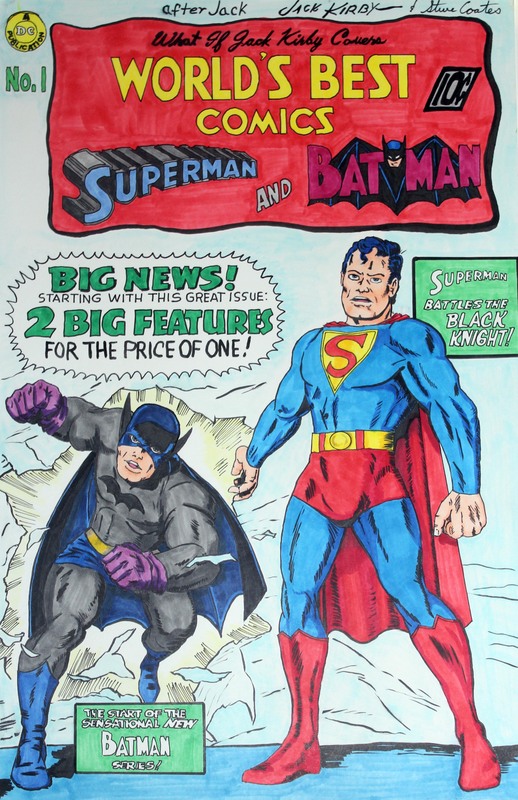 Posted November 14, 2013 in Batman, Steve Coates, Superman, The Demon, The Hulk. 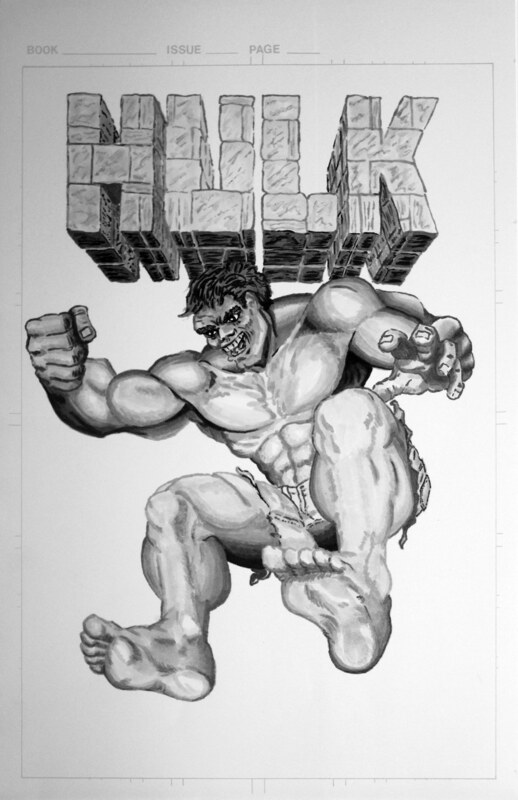 Rounding-up a week of Steve Coates tribute art with this gallery featuring The Hulk, two Demons and a couple of special guests. 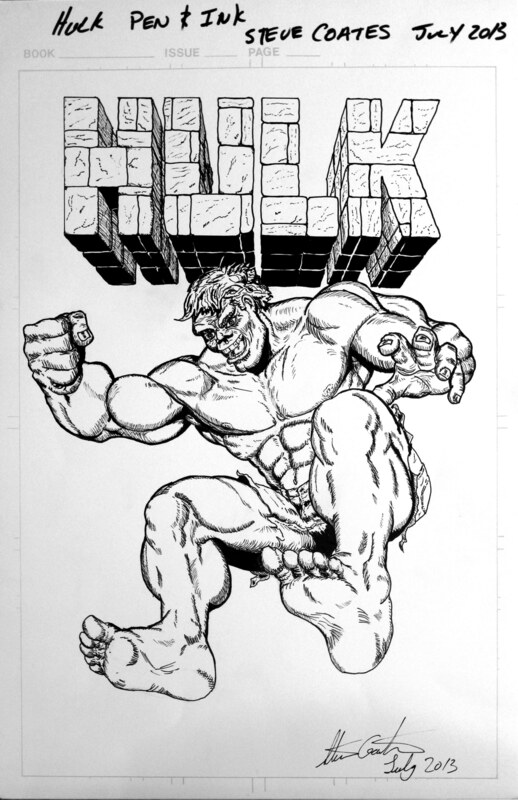 Posted November 13, 2013 in Steve Coates, The Hulk. 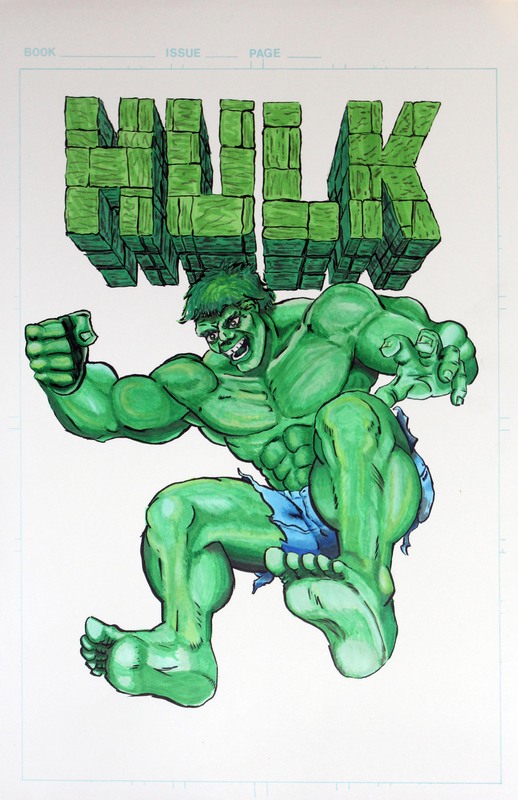 Our third gallery this week from Steve Coates aptly features a trio of techniques featuring the not so “Jolly Green” himself. 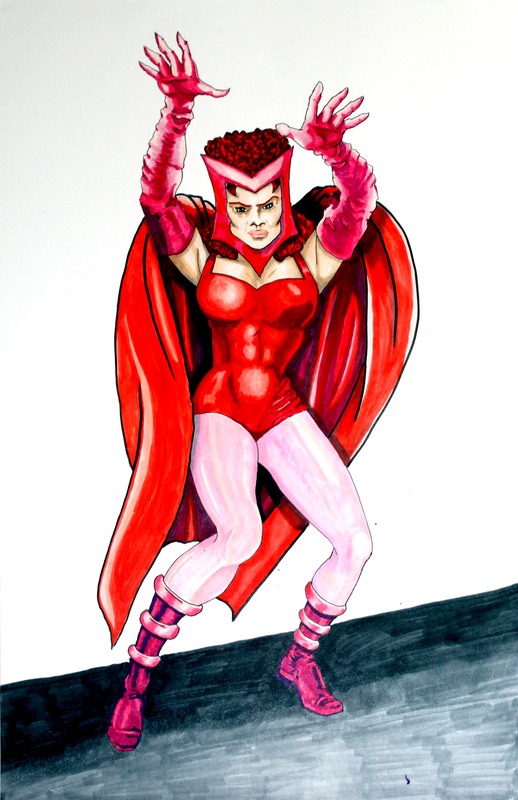 Posted November 12, 2013 in Crystal, Scarlet Witch, Steve Coates. 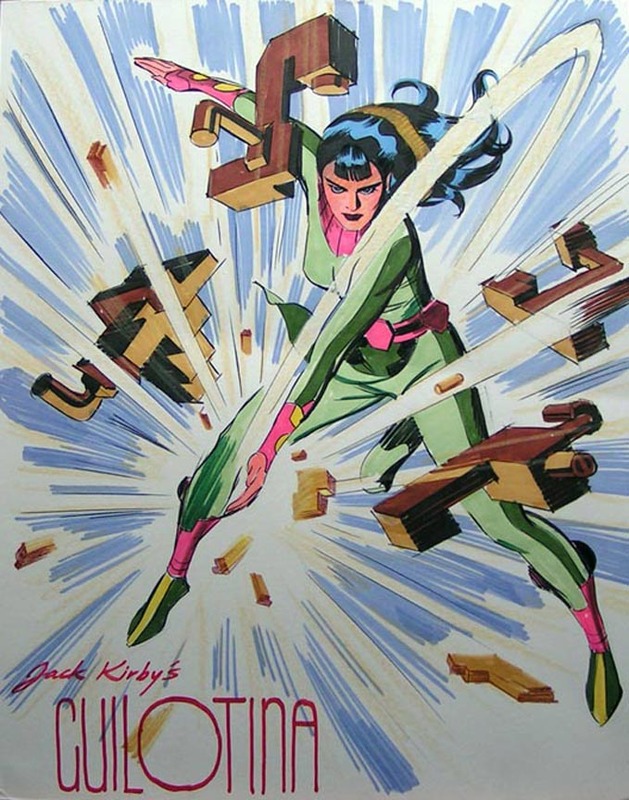 Steve Coates (after Kirby) presents his renditions of those marvelous Misses, Crystal and The Scarlet Witch. 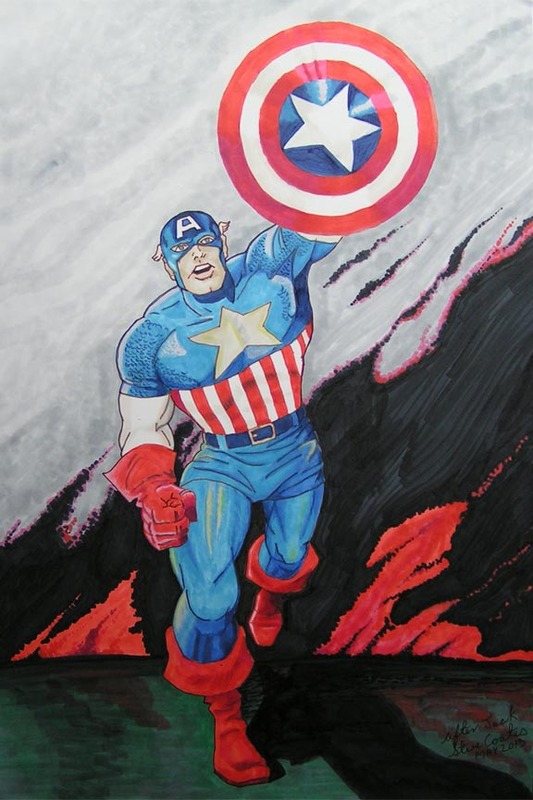 Posted November 11, 2013 in Captain America, Steve Coates. 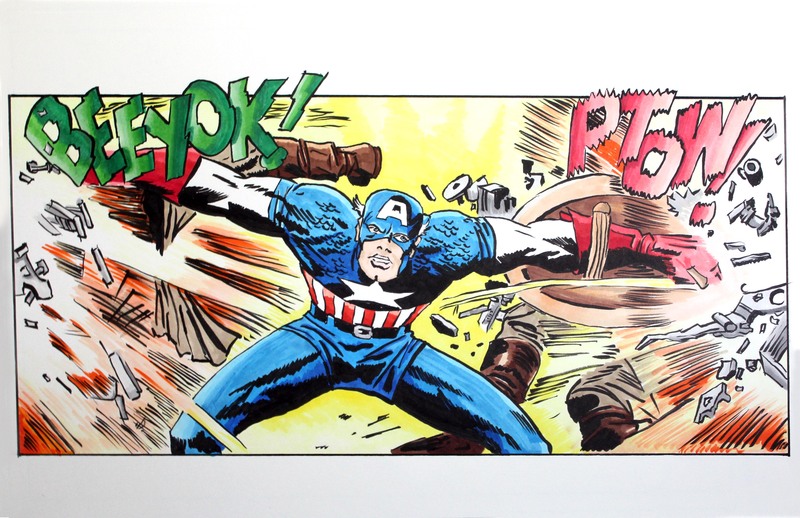 Two Captain America pieces for the price of one, courtesy of Steve Coates. 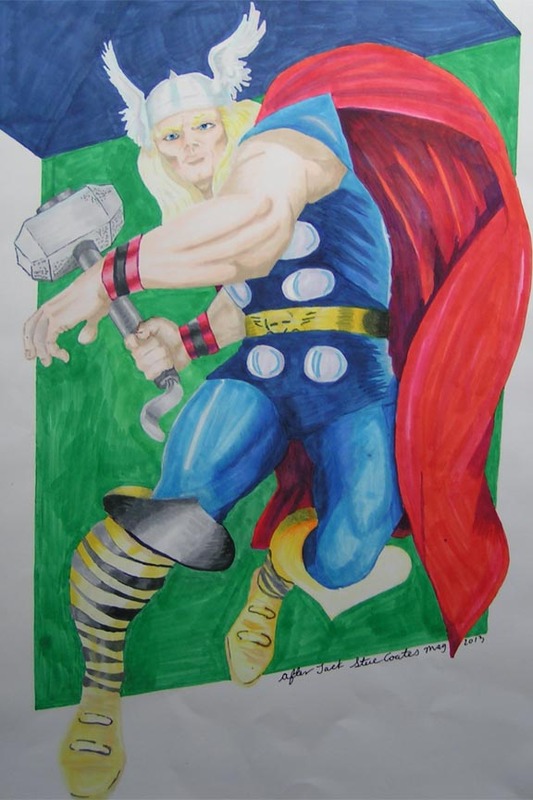 Posted June 13, 2013 in Captain America, Steve Coates, Thor. 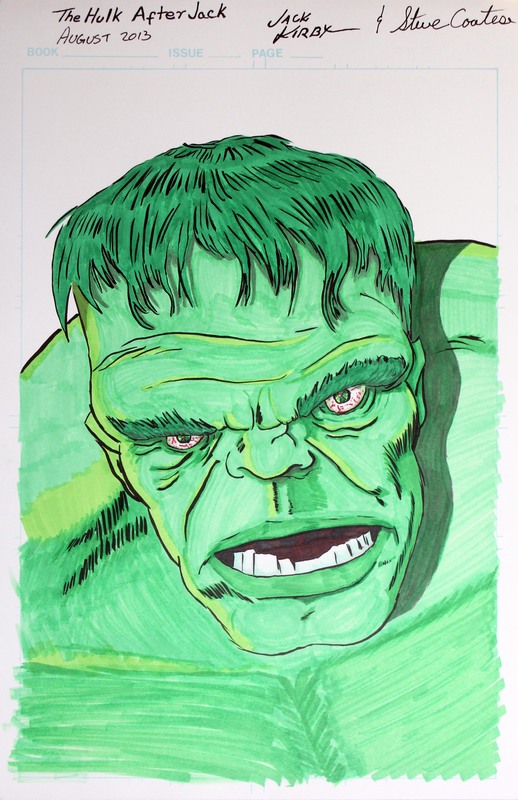 We round off a week of guest posts from Steve Coates with some of Steve’s own artwork, rendered in Copic Sketch Markers on marker board, “Everyone should recognize the iconic Jack Kirby images used for inspiration”. Steve is an active member of the Jack Kirby Museum. 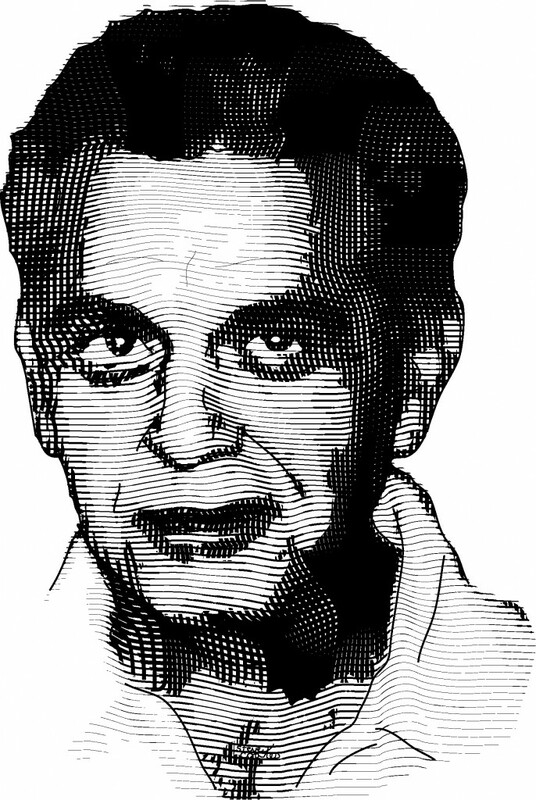 He has provided logistics and physical support in bringing the awareness of Jack Kirby’s contribution to Pop Culture and Jack’s insurmountable influence on the comic industry. 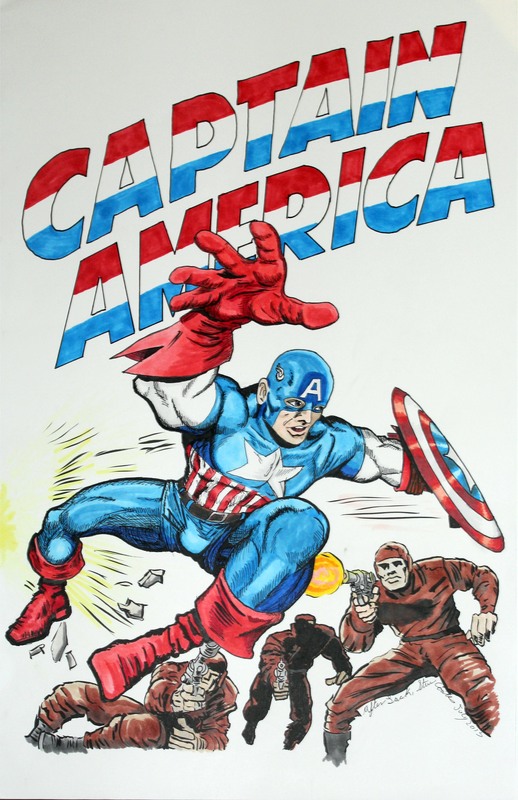 Although Museum Trustee Rand Hoppe has travelled to the major Alberta show (Calgary Expo), Steve has assumed the duties for exhibiting on behalf of the Jack Kirby Museum at the minor and intermediate shows within Alberta, Canada. 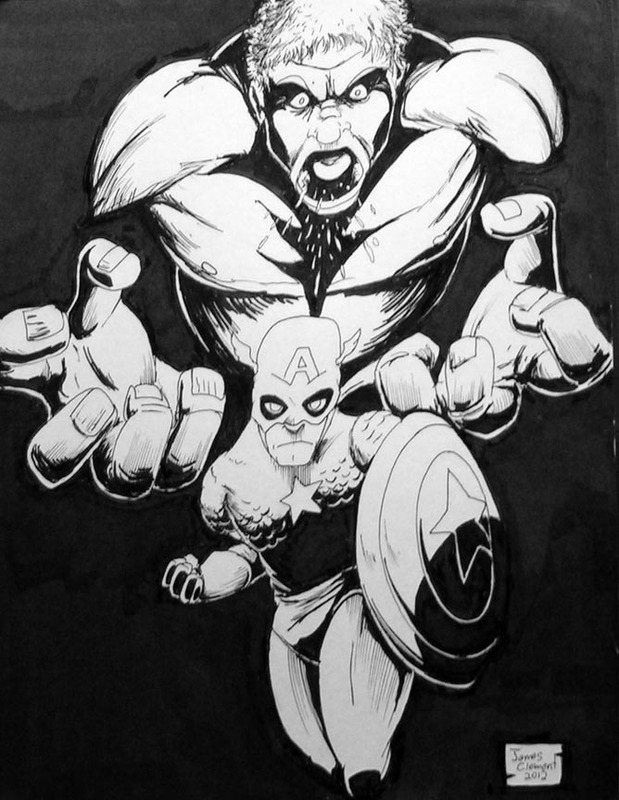 Posted June 12, 2013 in Guilotina, Steve Coates, Steve Rude. 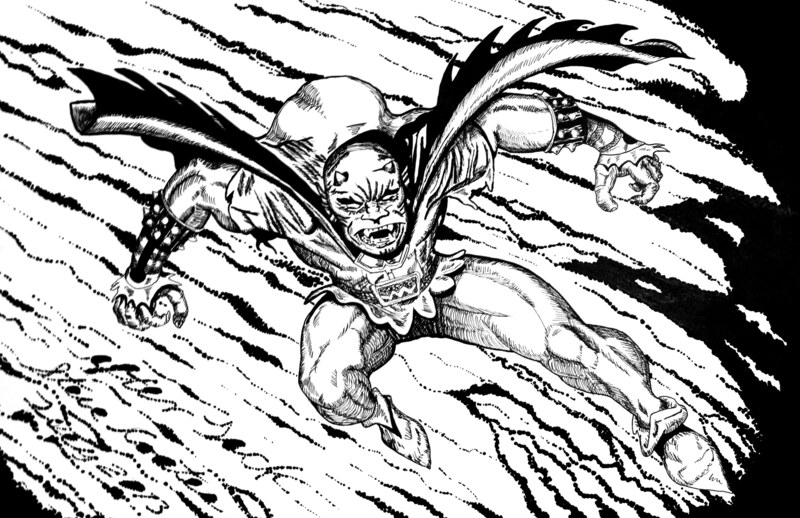 I’ve always been an admirer and follower of Steve Rude’s work. 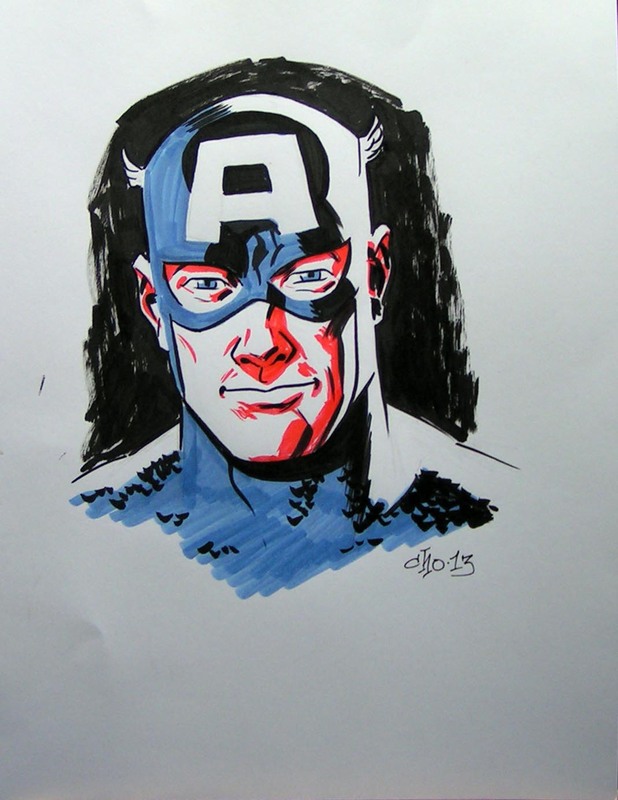 Fairly recently Steve did a fundraiser and a marker sketch commission was included in the pledge level I chose. 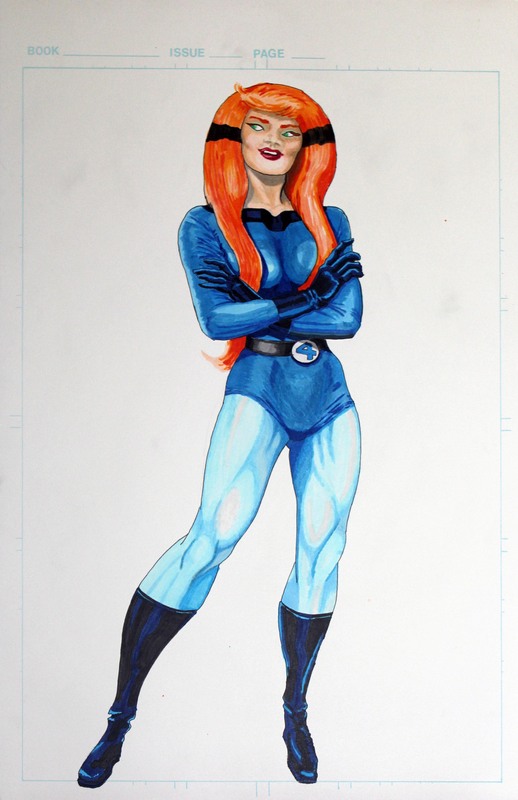 The only instructions I gave to Steve was to use a Jack Kirby character and I might have commented on how much I like Steve’s rendering of the female form. Posted June 11, 2013 in Captain America, Galactus, Loki, Scarlet Witch, Steve Coates, Thor. Our second post this week courtesy of Steve Coates. 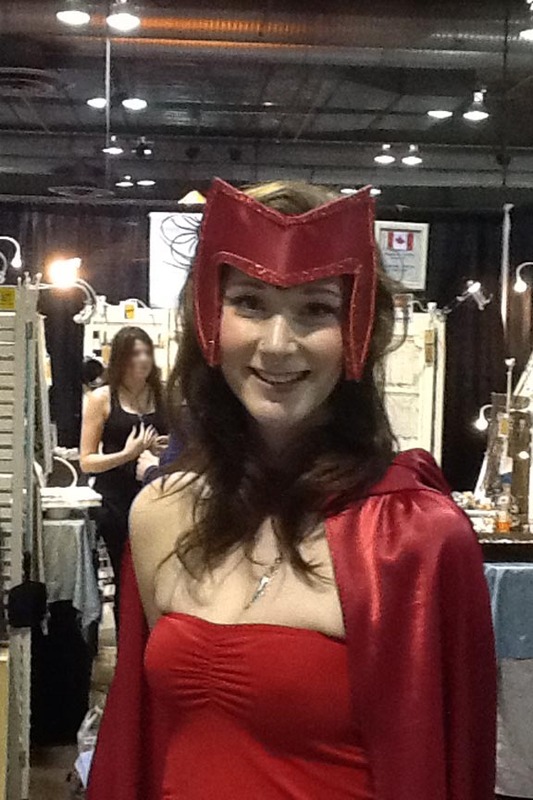 All the photos are from the Calgary Comic and Entertainment Expo. 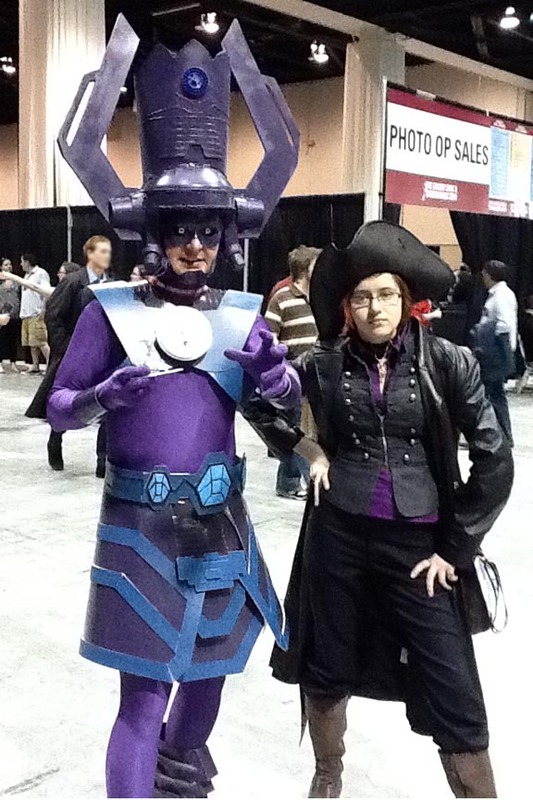 The Galactus Costumer photograph is from the 2012, but he was by the Jack Kirby Museum booth again this year. 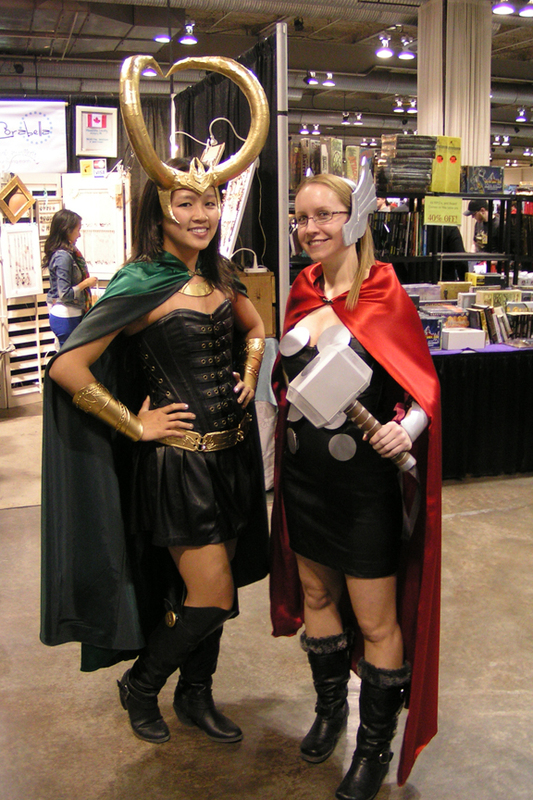 All the other photos were taken from the 2013 booth and are of attendees walking by. Except for the Captain America Costumer, he was invited into the booth, so the display posters could be used as a background. 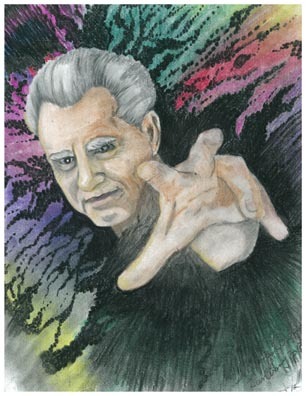 Posted March 25, 2013 in Jack Kirby, Steve Coates. 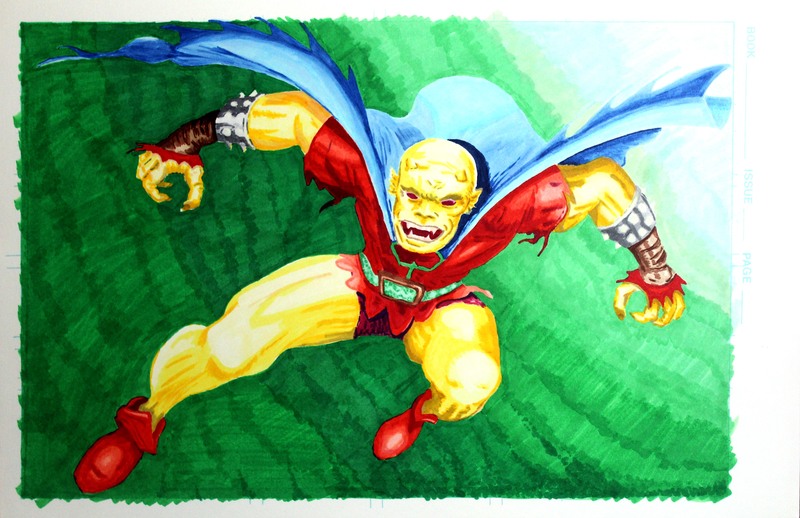 Posted January 7, 2013 in Jack Kirby, Red Skull, Steve Coates. 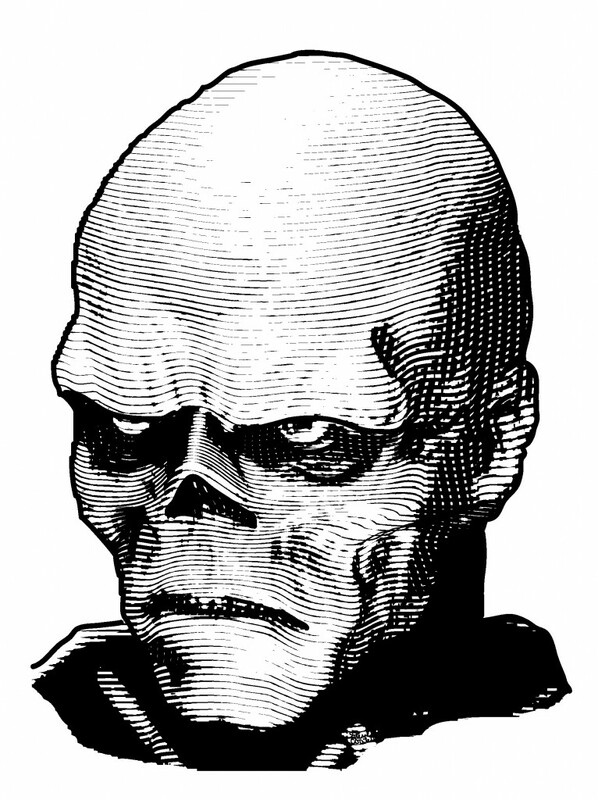 These portrait engravings were created by Steve Coates for a proposed gift certificate, to be tested by Calgary’s Redd Skull Comics, which will benefit The Kirby Museum along with the purchaser and dealer. Steve is “…self employed, providing technical graphics solutions to engineering and exploitation firms…”. 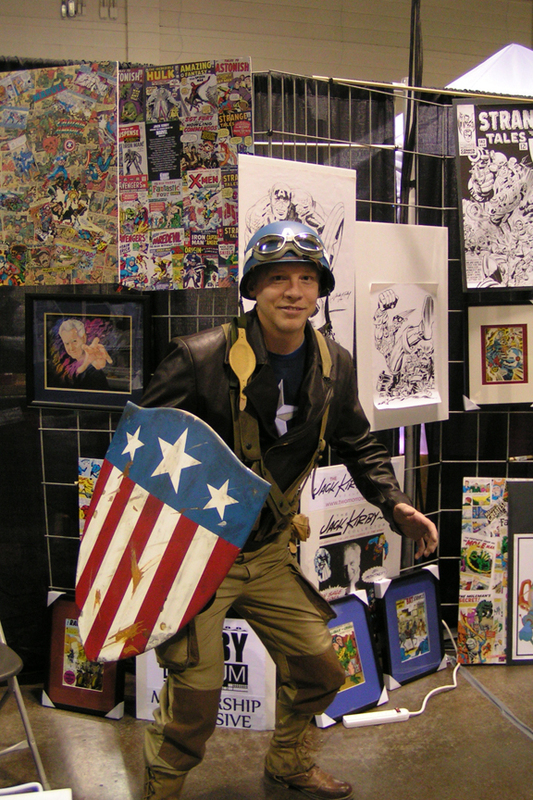 He has assisted The Kirby Museum exhibit at the Calgary Comic and Entertainment Expo and has manned the booths solo at a couple of provincial comic/toy shows on their behalf.